Yamaha PSR-EW300 SA 76-Key Portable Keyboard New !!!! CERTIFIED REFURBISHED w/ Warranty. Fast Free Shipping!! The next evolution of the legendary YPG-235. 76 touch-sensitive keys and versatile features help take you to the next level. 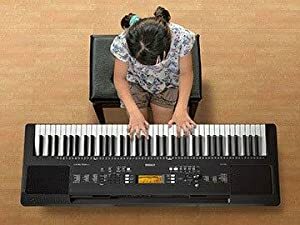 Packed with versatile functions, a powerful sound system and a wide, 76-note, touch-sensitive keyboard, the PSR-EW300 is a smart choice for the piano beginner. The PSR-EW300 Bundle includes an X-style stand and power adapter. 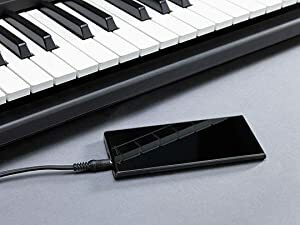 Connect your portable music player to hear your favorite music through the instrument's speakers. Play along and you feel like you've joined the band. 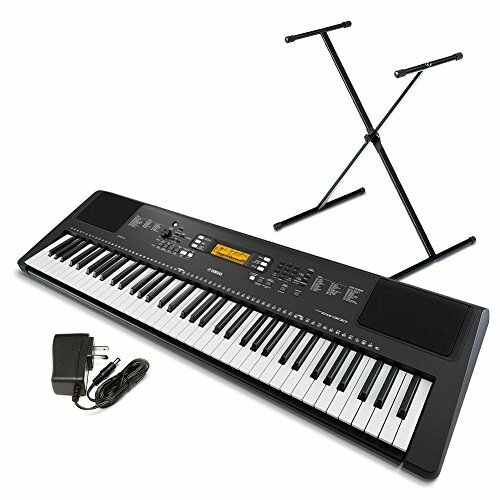 The PSR-EW300 76-Key Portable Keyboard from Yamaha features a library of 574 instrument voices that allow you to play any musical genre. This keyboard is equipped with 165 auto-accompaniment styles that provide real-time, band-backing tracks to play along with. The wider 76-key keyboard permits you to play more complex piano pieces than a 61-key keyboard and is suitable for the beginner or advanced player. Built with 12 digital reverb effects, a chorus, and a Master EQ, the keyboard adds ambience to your playing and makes you sound like you're in a concert hall, a small club, or a cathedral. The chorus adds warmth and makes the sound more spacious. The Master EQ allows you to adjust the sound to best suit how you’re monitoring the keyboard—whether you're listening through headphones, the built-in speakers, or an external sound system. Furthermore, duo mode allows two people to play together on the same instrument by dividing the keyboard into two identical sides. The wider 76-note keyboard offers a greater range to each person when in this mode. Also, choose from 150 arpeggio phrases with the press of a single key. The built-in USB-to-host terminal allows you to connect to a computer or portable device and record your performance. The PSR-EW300 76-Key Portable Keyboard has the tools to make you sound like a pro in no time. 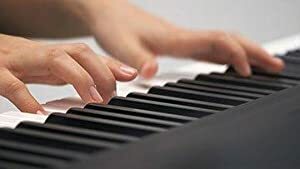 With the wide, 76-note, touch-sensitive keyboard at your fingertips, more complex piano pieces can be mastered with maximum dynamic expression than a 61-note keyboard. Play the keys heavily and you'll get louder tones, or play softly to achieve quieter sounds. The touch-sensitive keyboard accurately reflects every nuance of your playing, making your performances musically expressive. The PSR-EW300 features a comprehensive library of 574 instrument voices that allow you to enjoy playing any musical genre. 165 auto-accompaniment styles provide real-time, band-backing tracks based on the chords you play. Based on teaching techniques over many years, the step-by-step lessons are short and easy. Players learn how to play entire songs. To help build your skills, the "Touch Tutor" takes the mystery out of learning dynamic expression. 12 reverb effects add ambience to your playing, making it sound like you're in a concert hall, small club, or a cathedral. Chorus adds warmth and makes the sound more spacious. The Master EQ easily adjusts the sound to suit how you're monitoring the keyboard—whether you are listening through headphones, the built-in speakers, or an external sound system. By dividing the keyboard into two identical sides, duo mode allows two people to play together on the same instrument. The wider 76-note keyboard offers a greater range to each person, which enables you to enjoy playing the piano with friends and family. Connect your portable music player to hear your favorite music through the instrument's speakers. You can play along like you're in the band.